I’m sneaking one last review on here before 2015 begins. I realized last night that I had yet to review two of my favorite books that I read this year (quite possibly my top two favorite books). Towards the end of World War II, the seaside city of Saint-Malo, France is bombed by the Allies. Werner, a young German soldier with a innate understanding of electronics is trapped underneath the rubble with a radio. Across the city, a blind girl, Marie Laure, finds herself alone in her uncle’s home, hiding from a Nazi treasure hunter obsessed with a precious jewel in her possession, with a radio transmitter and her braille copy of Twenty-Thousand Leagues Under the Sea. There are so many beautiful details in this book, particularly surrounding the story of Marie Laure and her father. Her father, the master of locks at the Museum of Natural History in Paris, builts miniature replicas of their neighborhood to help Marie Laure learn how to navigate on her own. Werner’s life is more difficult, but he remains inspired by a strange radio broadcast he heard with his sister as a child. Besides the details, the writing is very beautiful. The prose can be a bit dense at times, however Doerr counters this with very short chapters with give the book some breathing room. I really wish I would have had time to read this one more slowly. Since I was reading it for class I had to clip through it at a very fast pace. I’m planning on a reread once it’s published in paperback (June 2016). I’m going to use a word here to describe Station Eleven, but I don’t want you to let it turn you off the book. 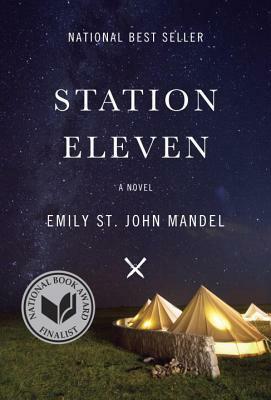 Station Eleven is a post-apocalyptic (but not dystopian) novel set in the near future after the Georgian Flu wipes out most of the Earth’s population as well as crippling most technologies. Small communities have formed, often near wherever a group of people happened to be at the time the flu hit. However, this isn’t a particularly science fiction-y book. The story is not centered on survival or plot or what happens next. Rather, the story moves back and forth in time (pre- and post-flu) weaving together multiple characters, but focused on the Traveling Symphony, a group of musicians and actors who travel across North America performing, because “survival is insufficient.” Station Eleven examines art, humanity, memory, and those things that may survive us: the smart phone in the Museum of Civilization, an obscure sci-fi graphic novel, a Star Trek quote, Shakespeare’s plays. 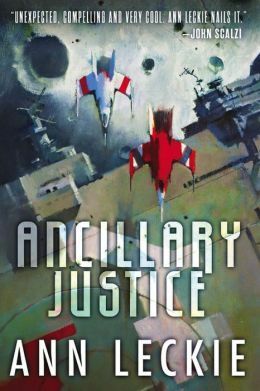 The title of the book comes from the title of a graphic novel one of the characters creates over many years about a failing, partially flooded space station now consisting of interconnected islands led by Dr. Eleven and the group of people hiding in the Undersea who only want to return to a ruined, alien-dominated Earth. I wanted this graphic novel to be real. I really wanted this graphic novel to be real. Sadly, it is not, although the cover designer, Nathan Burton, did illustrate a few pages. And like All the Light We Cannot See, the writing in Station Eleven was absolutely beautiful to read. 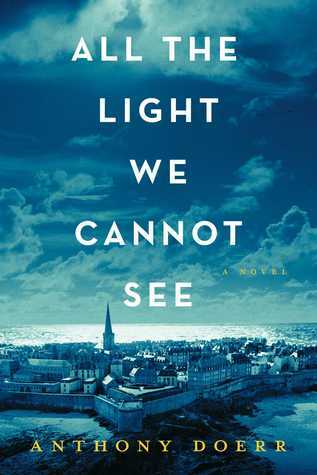 This entry was posted in Madeleine and tagged 5 Stars, all the light we cannot see, Anthony Doerr, emily st. john mandel, historical fiction, literary fiction, National Book Award Finalist, Science Fiction, station eleven on December 31, 2014 by Madeleine Book Owl. I would have given American Gods 2 stars, but the last 100 pages were much better so 2.5 it is. I don’t want to say I can’t like this book because I think in a different context I would. I started this book during the break between summer and fall classes thinking it would make for a nice relaxing read. However, American Gods is a fairly hefty novel in terms of content, so I think if I had been in a mood for something deep, I would have liked it more. What I really wanted was something fluffy, and I thought American Gods would be a fast-paced mystery-sci fi novel. It wasn’t. Since its also character-focused it moves less quickly; Gaiman takes his time developing the characters. What I really wanted, though, was a fast-paced fantasy novel! I mean the cover has a highway with lightning on it! American Gods was recommended to me by Nox and Zelda as being one of Gaiman’s best. I loved The Graveyard Book and Coraline, so I thought I might delve into some adult fiction, and American Godscame highly recommended. Plus, Gaiman’s concept for the book seems intriguing and original. The concept of gods as real manifestations was interesting let alone the concept of “American” gods such as media, the internet, and television. The beginning caught my attention but after Shadow and Wednesday set off to rope more gods into Wednesday’s plan, I just lost interest. The vignettes about how the gods came to America that are scattered throughout I found distracting. The last 100 pages or so were actually quite good, but I often found myself counting how many pages to the end of the chapter and to the end of the book. I just wanted to be done with it so I could go back to reading Gone with the Wind (which is wonderful!). Perhaps I might try a different adult novel by Gaiman and see if it goes better. Any recommendations?! This entry was posted in Sonya and tagged 2.5 stars, American Gods, Fantasy, Neil Gaiman, Science Fiction on February 5, 2014 by Sonya Book Owl.